I would like to start by discussing IPv4 prices. My view is that the IPv4 price curve is shaped like a hill, as illustrated in Figure 1 above. Initially, there was a large IPv4 supply, which was a period of time best for the buyer, as prices were low. As time wore on, the number of available IPs diminished, especially as ARIN ran out of free IPv4 addresses. When RIPE implemented the Inter-RIR transfer Policy, it had the impact of equalizing IPv4 prices around the globe. Overall, IPv4 prices rose as the supply tightened. What will happen next? Eventually /8s will probably come to market as the price meets the selling point of the holders, and the increase in supply may cause small price dips. After some time the price will crest, which could happen in 2 years, or 5 years, or even 10 years as IPv6 becomes more prevalent. The ideal window of opportunity for a seller is when IPv4 is still needed and IPv6 is beginning to take a firm hold. This is the worst time for a buyer, and they will end up paying the maximum price. IPv4 prices will start to fall as more time passes on. Let’s talk about the various factors that affect IPv4 pricing in the marketplace in more detail. First, because the ARIN Region has so many IPs compared to the other Regional Internet Registries (RIRs), prices will be affected by the number of IPs transferred that eat up that supply. 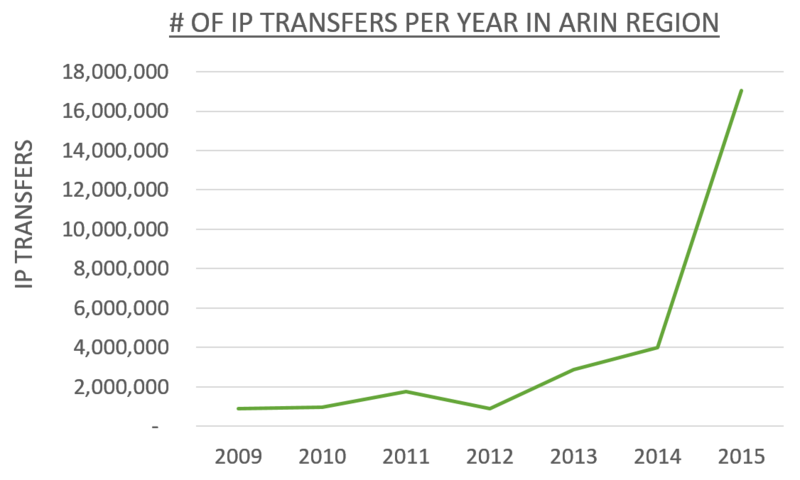 ARIN did not have many transfers until 2015, when a full /8 was transferred, as shown in Figure 2 below. Listed below are five other factors that affect prices. RIPE Inter-RIR transfers have been possible since September of 2015, which have caused ARIN and RIPE prices to equalize. Once companies deploy IPv6 and stop demanding IPv4, then prices will start to decline. This, of course, assumes IPv6 will take firm root. 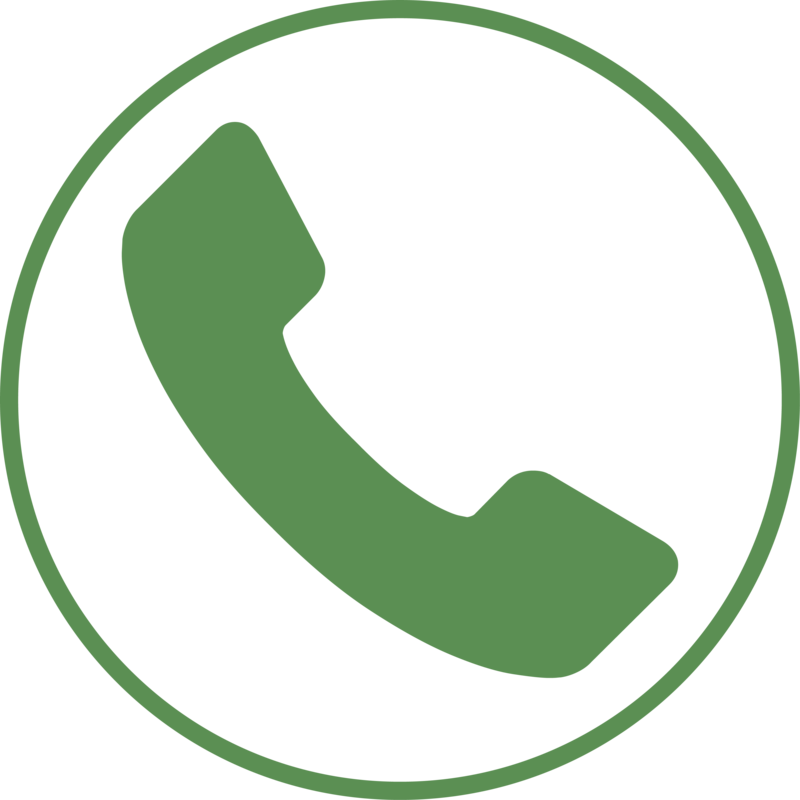 Carrier Grade Nat (CGN) can delay price increases by stretching the use of IPv4. If the legacy /8s in the ARIN region come to market, then the increased supply of available IPv4 will push prices down. Lastly, if the cloud, telephony, and internet applications require more IPv4, then increased demand will push prices up. I would like to finish with some predictions. I do not know if we are at the top of the IPv4 price curve yet. I think there is room for IPv4 prices to rise because IPv6 implementation is not far enough along yet. The question is, what price will the market bear? I believe some of the ARIN /8s will come to market, and I believe the asking prices for these /8s is higher than the current price, which will push prices up somewhat. Will these /8 sellers get the price they are asking for? I believe that there is a shortage of IPs in the RIPE and APNIC regions that will be filled from the ARIN region. As of January 2016, demand outside of the ARIN region is greater than that within the ARIN region. In conclusion, the IPv4 price curve is complex and many factors affect where it is, and where it will go.